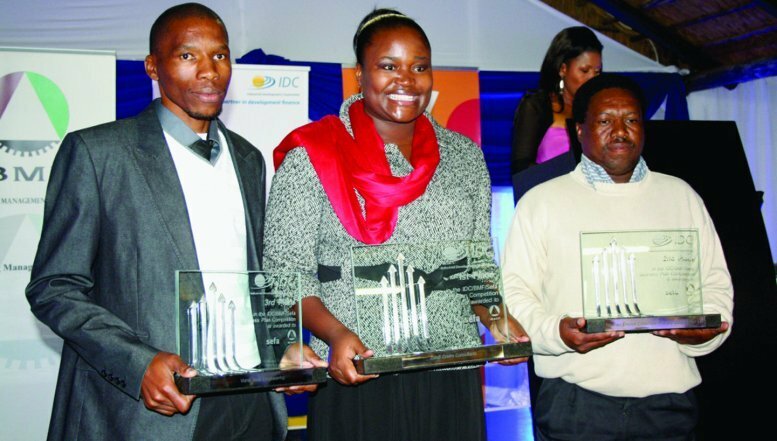 Xoliswa Qotyana won the maiden Industrial Development Corporation (IDC) Business Plan Competition for the Greater Johannesburg region. 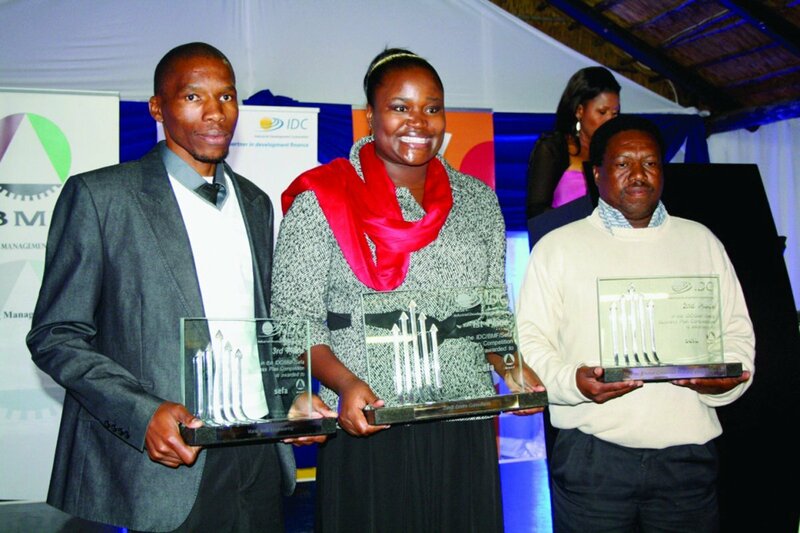 Qotyana who founded Zondi Environmental Consultants together with her eight partners and she was awarded the first prize for the best business plan and also the special prize in the category of best business plan submitted by a woman. She went away with prizes valued at R300 000, some of which will be used to purchase operational equipments for her business as well as an additional training programme. Vusi Sibisi from Vuma Tech Engineering and Daniel Hadebe from Sisonke Enivro Conscious Primary Co-Operative were the runner-ups in the competion and Sifiso Ngobese was awarded the Most Innovative Award in the Special Category. Qotyana says Zondi Environmental Consultants is an environmental management business which collects and processes recyclables such as paper, plastic and glass, born as the result of her desire for financial independence and passion to preserve the environment. She says their greatest challenges were finding start-up and working capital but now the company has employed five fulltime staff members and has partnered with Pikitup to source and separate recyclables. Qotyana says they also buy recyclables from community members who make a living from collecting and selling recyclables to processors. “We sort these recyclables and sell them to different companies. We also process polypropylene into granules and sell it to the manufacturers of plastic furniture and utensils. The benefit of our work is twofold; it helps to keep Soweto clean and alleviates hunger,” added Qotyana. The competition is the brainchild of IDC’s Small Business Enterprise Finance Agency (Sefa) and Black Management Forum, aimed at fostering business ideas and encouraging entrepreneurial thinking and practice. It also provides a platform for identifying, nurturing and showcasing entrepreneurial skills for potential business owners in Soweto. The outcome of the competition will help in the development of formal business plans which is instrumental to access funding opportunities from IDC, Sefa and other financial institutions. The competition was hosted in three phases where the first phase enabled entrants to develop their business ideas. Following this, a total of 50 shortlisted entrants took part in a training programme to fine-tune their business plans. The final phase resulted in the selection of the top 10 business plans with the opportunity to resubmit their business plans for final adjudication. IDC Head of Innovation, Zanele Monnakgotla said the competition proved to be an effective platform for identifying businesses with potential that can be supported, nurtured and assisted to access funding. Monnakgotla said she was hopeful that the participants would continue to translate their innovative business ideas into successful employment – creating enterprises that may contribute to the economic growth in the country. Sefa Head of Regions, Don Mashele described the competition as one of the milestones of transforming enterprises that are operating in the second economy. He said the competition was geared towards exposing Small to Medium Enterprises to a high value industrial opportunities. “This competition deliberately targeted industries that have potential to create sustainable jobs and deliver economic benefits for the entrepreneur,” said Mashele. BMF Chairman in Soweto, Solomon Moripe said they were happy to see that a large number of participants had received a “world class training” through their participation in the competition and that they would continue to contribute to the industrialisation of Soweto.